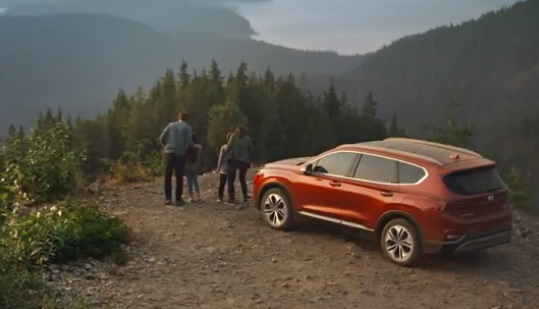 Hyundai showcases the 2019 Santa Fe in a new ad, aimed at highlighting that this SUV gives you everything you need – whether it’s technology, safety, convenience or performance – to make it a place where everyone enjoys spending quality time. “Quality time, it’s possible in the all-new Santa Fe, “the voiceover says at the end of the spot, which is soundtracked by the 2014 single “Home” by Los Angeles based duo JOHNNYSWIM, composed of Amanda Sudano and Abner Ramirez. The song, included on the band’s 2014 album, “Diamonds,” is the theme song of the HGTV show “Fixer Upper”. The 2019 Hyundai Santa Fe, which made its debut at this year’s Geneva Motor Show, in March, and was introduced as Hyundai’s “most advanced SUV ever,” also features, in terms of safety, Rear Cross-Traffic Collision-Avoidance Assist, Blind-Spot Collision-Avoidance Assist, Lane Keeping Assist, Forward Collision-Avoidance Assist with Pedestrian Detection, Driver Attention Warning and others, all part of Hyundai SmartSense, which is, according to the brand, “one of the best-in-class safety packages and safety features”. In a series of previous spots Hyundai touted the advanced new feature Class-Exclusive Safe Exit Assist, which is designed to keep rear-seat passengers from opening the door and walking into traffic when vehicles are approaching from the rear. The Santa Fe range includes SE, SEL, SEL Plus, Limited and Limited 2.0T models. The manufacturer’s suggested retail price is $25,000.